In this blog post we explain how to configure multiple names for a MS Windows server. “This works from Windows Server 2003”. 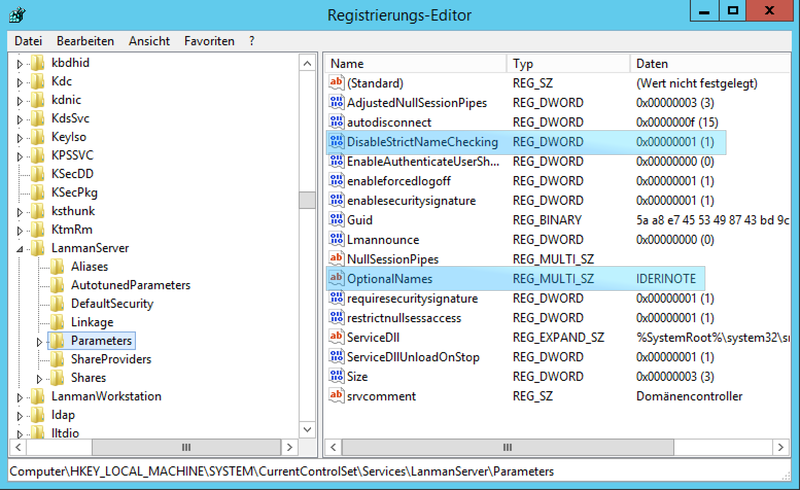 For this example we use a windows server 2012R2. The server goes by the name ID-DC01 and should also be given the name IDERINOTE.